The companies are working together to integrate health and activity tracking technologies to offer a simplified solution for type 2 diabetes management. Shown is a sample pattern snapshot showing the data provided by the iPro2 system. This week Medtronic and Fitbit announced plans to collaborate on an innovative new technology known as the iPro2 myLog, a device that will partner with a mobile app to enable patients with type 2 diabetes to monitor their glucose levels and physical activity data in one simple application. The new partnership aims to bring together Medtronic's innovative medical technology with one of the world's most popular fitness tracking devices. Laura Stoltenberg, vice president and general manager of non-intensive diabetes therapies at Medtronic, said in a press release this week that glucose monitoring has become an essential vital sign to monitor when considering how many people suffer from diabetes. "We believe monitoring glucose is a critical element in the management of diabetes and therefore, glucose should be included among other vital signs," she said. "As such, it has never been more important to increase the collaboration between healthcare and technology to simplify daily diabetes management for the 29 million patients living with type 2 diabetes in the United States. 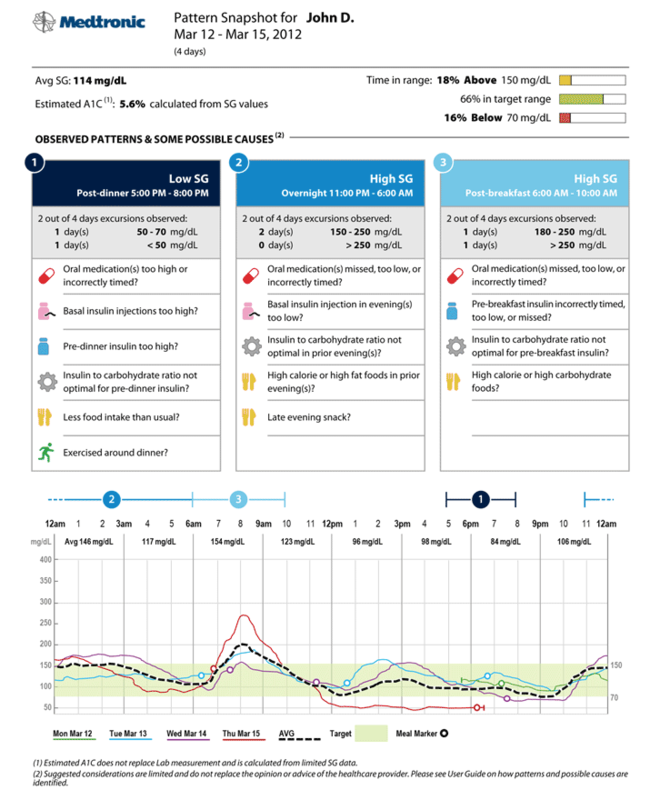 By creating a connection between physical activity and glucose levels, our iPro2 myLog mobile app solution provides new tools and insights, so that physicians can optimize therapy, and patients can better understand how to manage their diabetes." Medtronic designed the technology to record a patient's glucose levels 24 hours a day for up to six days at a time, to help create a profile of information for the user. Together with a physician, the system can be used to provide insights into how nutrition, medication, and daily activities affect glucose levels, essentially creating a glucose profile for each individual patient. These insights can be continuously monitored to help each patient better understand the relationship between their glucose levels and lifestyle choices. The mobile app for the iPro2 was designed to capture and read glucose data while integrating physical activity data collected from the patient's Fitbit activity tracker. The seamless connection between the devices will provide patients with a comprehensive look at how their behaviors affect glucose levels during the six day diagnostic period. The app will help patients see the results of their daily activity without having to log them manually, helping each patient tailor their diet, medication, and physical lifestyle to improve the day to day management of the disease. Of course the news out of Medtronic doesn't come as a surprise, following their commitment over the summer to develop more solutions for diabetes management. That trend has already begun to bear fruit as more and more companies release new devices to help patients better manage diabetes. The latest device to receive FDA approval was announced this week as One Drop officially launched their new subscription-based glucose monitoring system that aims to provide advanced diabetes care that is both affordable and easily accessible. Hear Medtronic's senior human factors design engineer talk about deciphering the diabetes experience at MD&M West on February 7, 2017. With the news of their partnership, Medtronic and Fitbit aim to throw their hat in the ring as well. The new technology aims to help patients implement lasting lifestyle changes that can potentially transform diabetes care for the better. With this new system, the iPro2 myLog app will eliminate the need to enter physical activity data manually, and provide a clearer understanding of how that data impacts glucose levels--all in an effort to facilitate a more personalized regimen for diabetes management.